Xiaomi Redmi 7 Launch Price, Specifications, features highlights: Xiaomi Redmi 7 launched in China and it comes with dual-cameras and the Snapdragon 632 processor. Redmi 7 launch live updates: Xiaomi will launch the Redmi 7 in China today. Xiaomi Redmi 7 Launch Price, Specifications, features highlights: Redmi 7 has launched in China along with the Redmi Note 7 Pro. Redmi 7 is the new budget phone series, which will be priced lower than the Redmi Note 7 series. The Redmi Note 7 Pro was officially launched in India first along with the Redmi Note 7 on February 28. Xiaomi has a livestream for the Redmi 7 event on its official China website. The Redmi 7 has a water-drop notch display, which is 6.26-inches in size with an HD+ resolution. Redmi 7 runs the Qualcomm Snapdragon 632 processor coupled with a 12MP+2MP camera combination at the back. Redmi 7 has an 8MP front camera and a 4000 mAh battery. Redmi 7 starts at Yuan 699 in China, which is around Rs 6000 plus. This is for the 2GB RAM and 16GB storage option. The 3GB RAM and 32G version costs Yuan 799. The 4GB RAM and 64GB version will cost Yuan 999 in China. Redmi 7 also comes in the Blue and Red and a Black colour option just like Redmi Note 7 Pro series. Redmi 7 has an 8MP front camera. Redmi 7 has a 12MP+2MP camera combination at the back. Keep in mind the Redmi Note 7 phone in India also sports a similar camera specification. Xiaomi's Redmi 7 will run the Qualcomm Snapdragon 632 processor. This is an octa-core processor with the Kyro 250 design. Xiaomi is now launching the Redmi 7 in China. The phone has a 62.6-inch, HD resolution display with the waterdrop notch and a 19:9 aspect ratio. The phone has a 4000 mAh battery as well. Xiaomi is now launching the Redmi 7 in China. 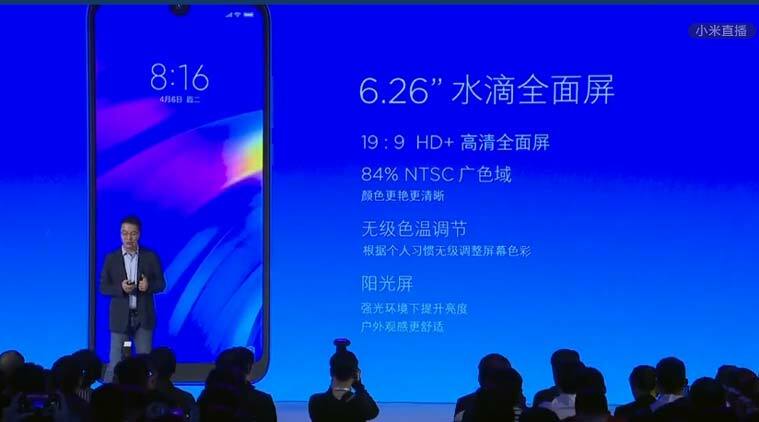 The phone has a 62.6-inch, HD+ resolution display with the waterdrop notch and a 19:9 aspect ratio. Redmi Note 7 Pro is priced at Yuan 1599, which is around Rs 16,000 plus for the 6GB RAM and 128GB storage version. In India this same variant costs Rs 16,999. Just like the India variant, the Redmi Note 7 Pro has P2i coating as well, which makes it splash-resistant. Looks like the Redmi Note 7 Pro unit in China comes with 18W fast charging. Xiaomi is first introducing the Redmi Note 7 Pro in China. The phone has a Sony IMX586 sensor with the 48MP resolution at the back. Xiaomi is comparing the phone with other 48MP camera devices, which are priced higher than the Redmi Note 7 Pro. Redmi Note 7 Pro runs the Qualcomm Snapdragon 675 processor. Xiaomi is launching the Redmi 7 in China today and the launch event has begun. The livestream for the Redmi 7 launch is available on Xiaomi's website here. 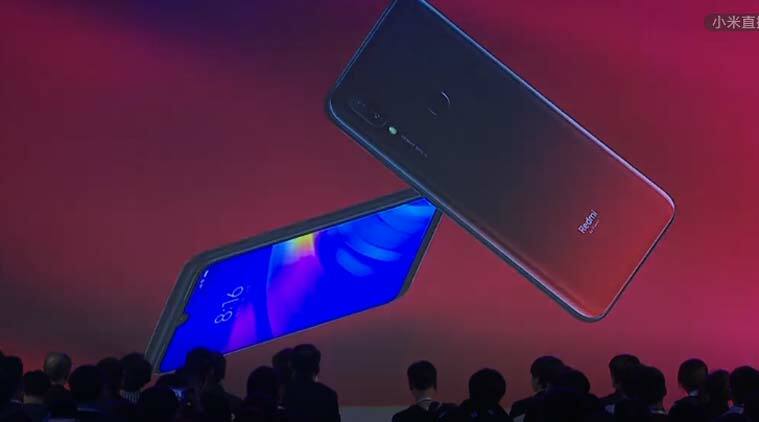 The company is also launching the Redmi Note 7 Pro in China, though the phone has already launched in India. Redmi 7 will be priced lower than the Redmi Note 7 series.